Sophsterlicious • UK Blog: The Fragrance Shop - Discovery Club Box! Some of you may have seen my last Discovery box post, but if not, here is a look at the last box! The idea behind these boxes are that you get six samples of different fragrances to try out, every three months. If you decide you really love a certain scent, you can go get it and save yourself some money on it.. The box comes with a book of £10 off vouchers for the scents from The Fragrance Shop. 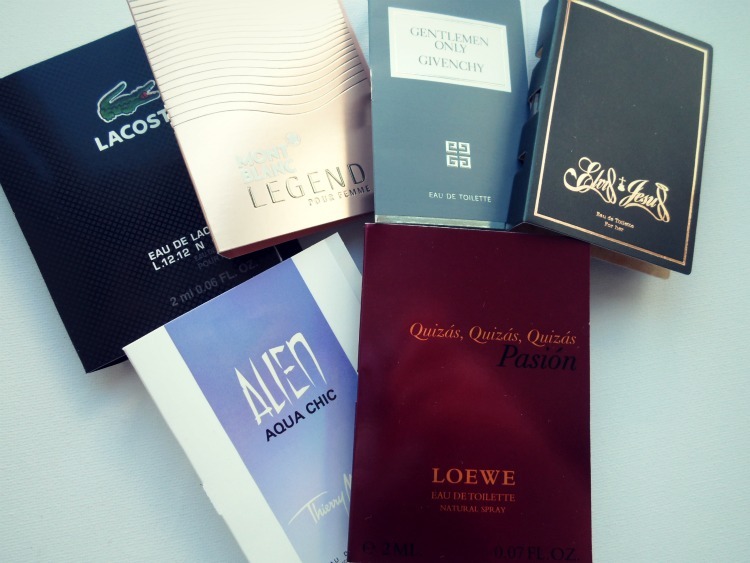 The box itself costs £5 every quarter of the year, which is a bargain if you are big on fragrance and like to try out new ones all of the time. It also includes male and female samples. This box had two male samples in it, which my boyfriend enjoyed. Do you like this idea? Are you subscribed? See here for more details. I heard about this a while ago and thought about getting it to try, but never did.